There is nothing more ellagant than a light pink bubble with white, yellow and green smocking on the neckline. 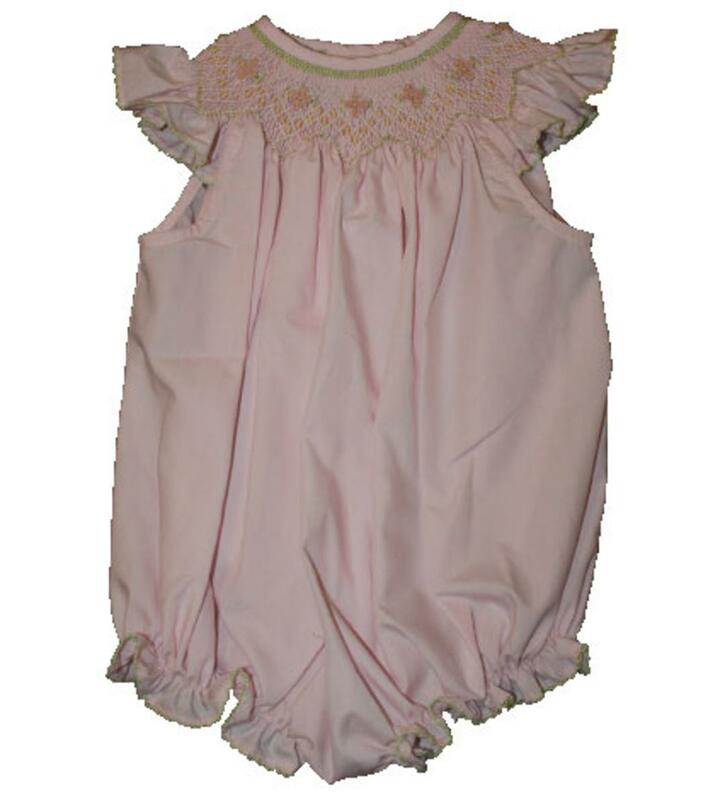 There is angel sleeves with a green picot trim on the ruffle and a ruffle on the legs with the picot trim. There is buttons down the back to get on/off easily and snaps on the inside of the legs to accomodate diaper changes. This adorable outfit is 65% polyester and 35% cotton.